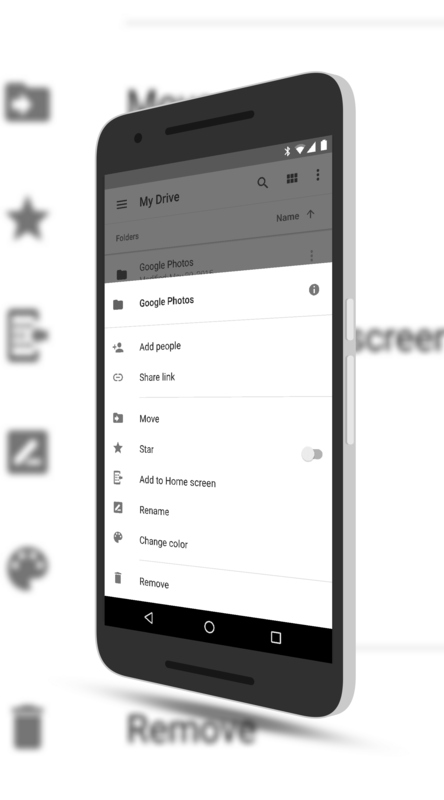 Google has pushed an update to Google Drive for Android that has several small but nice updates. The most notable change is the ability to pin files or folders to your phone or tablet’s home screen. This gives you quick access to that file without actually having to open up the Drive app itself. To use this new feature is pretty simple. Once you have open up the app, next to the file or folder in the list will be an overflow menu (3 vertical dots). Tap that and you will see an option “Add to Home screen”. Tap that and it will be added. To remove it, just tap-and-hold then drag it to Remove. account changes like this so having it here is a nice touch for sure. Finally, there are improvements around comment notifications in the app. Now if you are sharing a file with someone, you will get a notification (if you enable it) letting you know when a comment has been added to that file. The update to Google Drive will be rolling out over the course of the next few days and you should see an OTA for it sometime this week.